I recently had the pleasure of being part of the panel debate, at the International Adviser Expert Investment Forum in Kuala Lumpur. 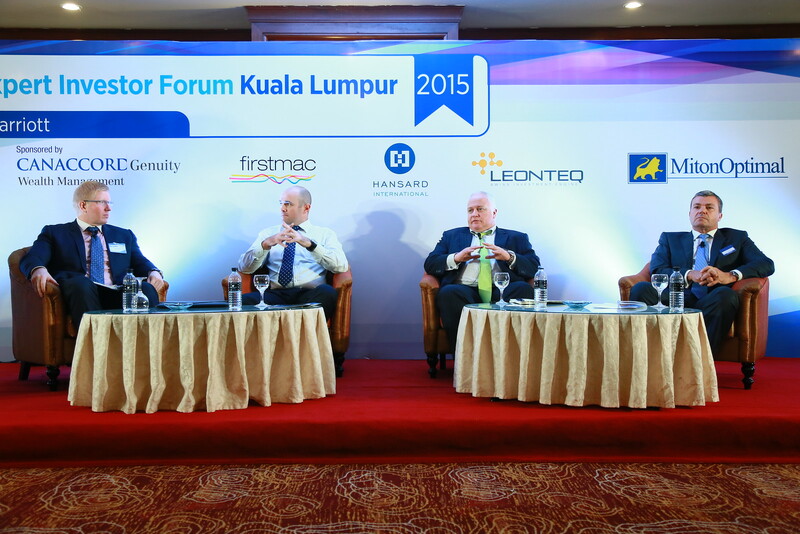 The main discussion was on the future of the advisory industry and how fee’s should be levied. We should not even need this type of discussion if firms were reasonable and open about their fees in the first place. The only reason this is in the limelight, is because of firms that take platform fees, trail fees and then bolt on hidden fund fees too; whereas in my opinion, it should be either or. In addition to this, many firms feel that a 25 year plan, is the best and right advice for everyone they meet and not just a handful of individuals. I’m not saying a 25 year plan is not right for a 25 year old, but there are too many companies that sell this advice, to every person that they meet; whether they are 25 or 65! One of our unique selling points at Farringdon Group, is that we never take hidden fund fees and even when these were available, we would credit them back to the client. These so called boutique funds, have harmed most IFA firms and more importantly the client. In my opinion, any fund that offer these hidden fee’s, should be steered clear from by every advisory firm. We have in the past used a handful, with no fee taken; but decided a couple of years ago, that we should not consider them at all, because they always end in the same way. We have even gone further and do not let any fund manager into our office, if they offer a hidden fee. I know that we are not the only firm that have taken this stance and find it horrific that some firms only invite these type of fund manages in, so that they can earn more money from the client……these companies are the ones that give us all a bad name! The decision to not use these funds was taken and has served us very well and we believe that Farringdon Group has one of the lowest change of broker rates in the industry. This is mainly due to the fact that we use transparent, daily liquid funds from the worlds biggest institutions. Then they should rest well at night, knowing that their investments should be safe. Being transparent with fees, is what we already do and it does not effect our business model, where a fee comes from……. an upfront option or an ongoing one, it simply does not matter and we can adapt to either. Any consultancy firm that feel that they must hide their fees; is more than likely layering more charges and hence should be avoided. One individual in the audience, at the panel debate, even stated that we should all hide our fees, because he does not want his clients to know how much he earns…….. This type of comment is worrying to say the very least! Another fee issue, that I see every and every week, is for the longer term regular premium policies. A consultant can get paid a large sum of money up front for a plan, that can last up to 25 years or more and the client may not even know that IFA for more than 18 months! In my opinion this type of fee, should be split over a number of years, so that the client is proactively managed and not forgot about after a short period of time. The difficulty is that, this can only be led by the regulator, product provider and broker agreeing to such. This has already happened in multiple jurisdictions and I feel that this needs to happen globally, as soon as possible. There are too many clients in this world, that think that they are in 18 month flexible plans, when in fact, they are in 25 year policy, which they no longer fund! Some of the worlds biggest firms have got to that size, because of miss-selling these policies or withholding information from their clients. I have presented at many seminars globally and have teamed up with the likes of KPMG and CBRE to offer the insider knowledge, of what a client should be looking for. If you would like some additional information or feel that the above has happened to you, then please get in contact with me. « The UK’s election result and what may happen to Inheritance Tax (IHT) and pension tax, after the Conservatives and David Cameron were successful?